Besides your lovely room, what other amenities do we offer? Ambientation for celebrations Perfect for honeymooners, birthdays and anniversaries. Three couple looking to hang out together over a long weekend? 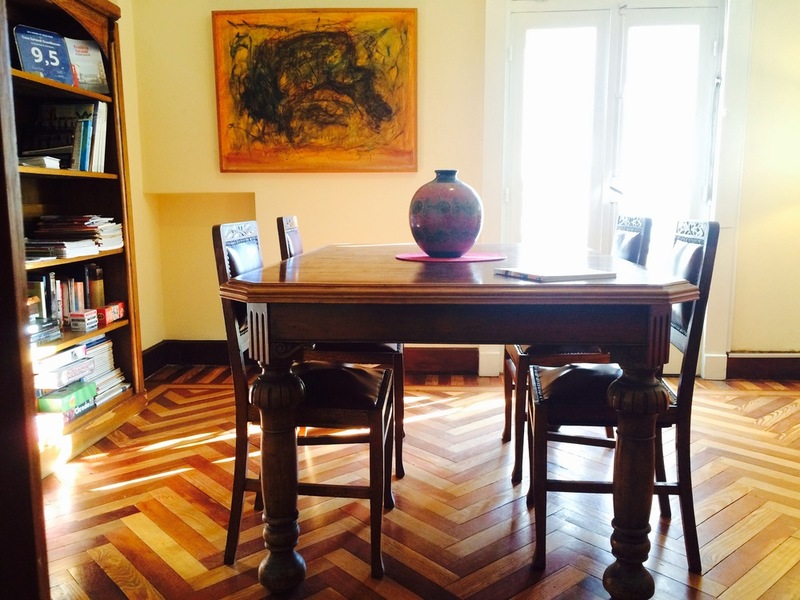 Attending a wedding in Montevideo and want a charming, central location? Two families with kids looking for a special place to meet up with trusted baby-sitting? Contact us for special rates for group bookings. Mercedes and Pablo pictured at the top of the page run Dueto, a lovely art-deco restaurant, a couple of blocks from the Casa. Knowing that some of our guests prefer to eat earlier than the norm if we call they will happily open up early. In Latin America great service is all about personal recommendation and relationships that take TIME to cultivate. Just like the friendships we've built with Miguel, the owner of the Museo del Vino who will reserve a great table for our guests, Jorg the director of the Andes 1972 Museum who will give our guests a personal tour if he is available and Mariño Sport the car rental company who didn't charge our French guest a penny for a broken window.